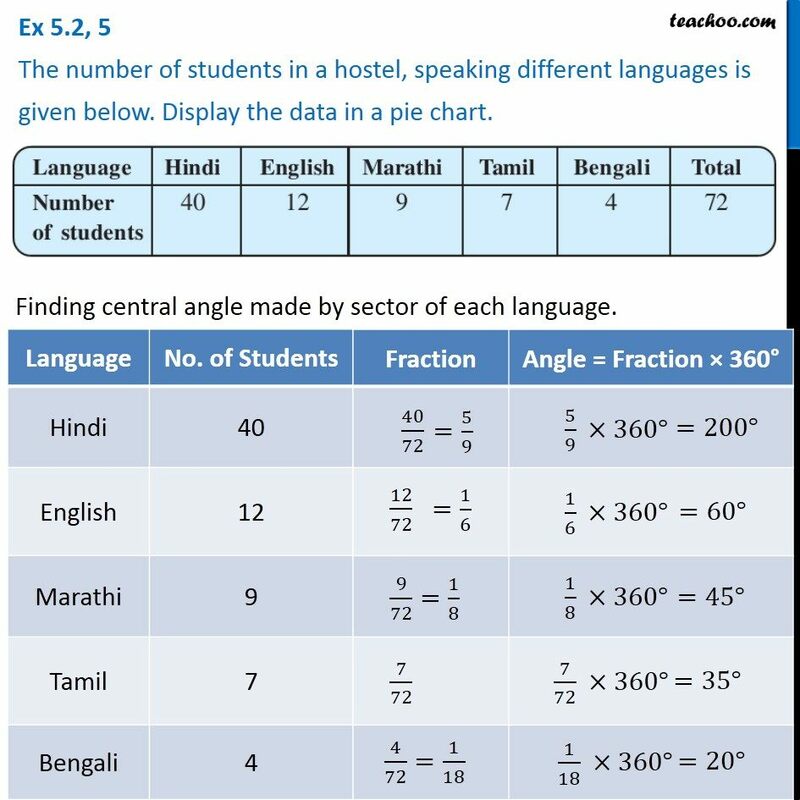 Ex 5.2, 5 The number of students in a hostel, speaking different languages is given below. Display the data in a pie chart. Finding central angle made by sector of each language. We follow the steps 1. Draw a circle of any radius. Mark Radius as OA. 2. 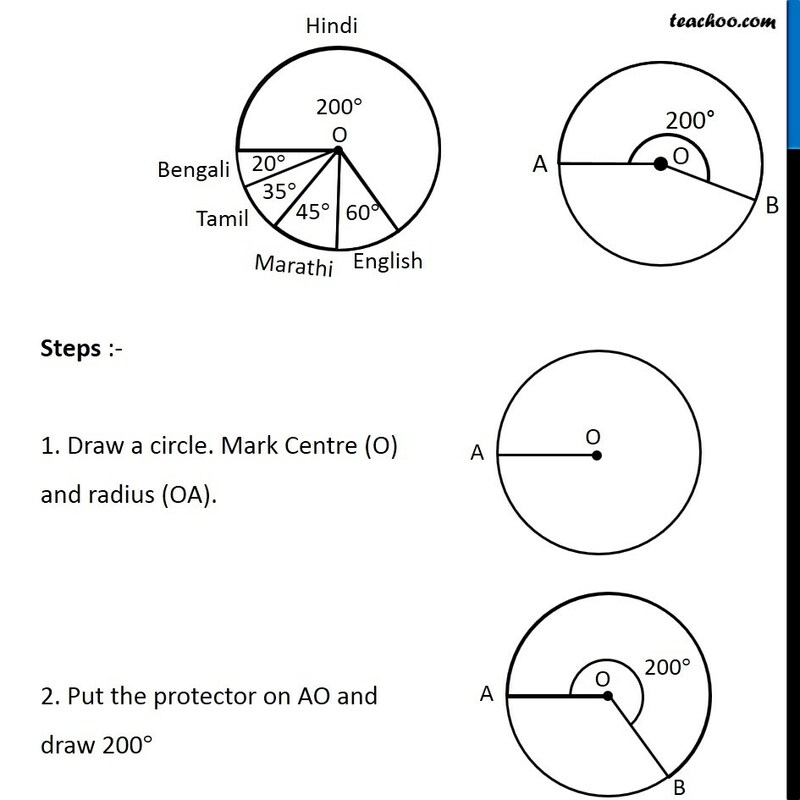 Put protractor on AO and Draw largest angle 200°. 200° will be drawn as 180° + 20° 3. 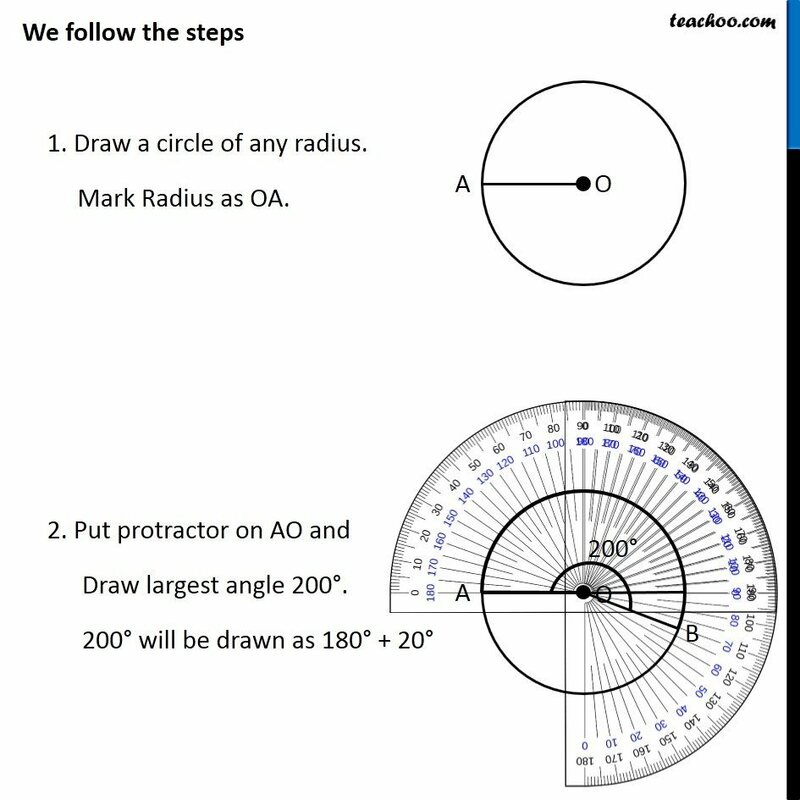 Now, put protractor on AO and Mark next largest angle 60° 4. 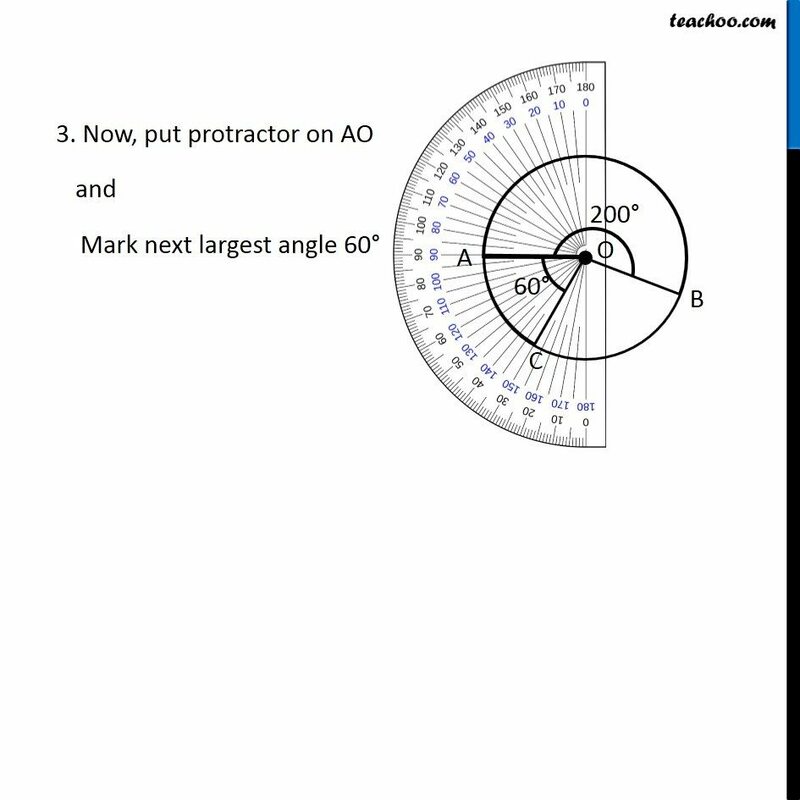 Now, put protractor on OC and Mark next largest angle 45° 5. 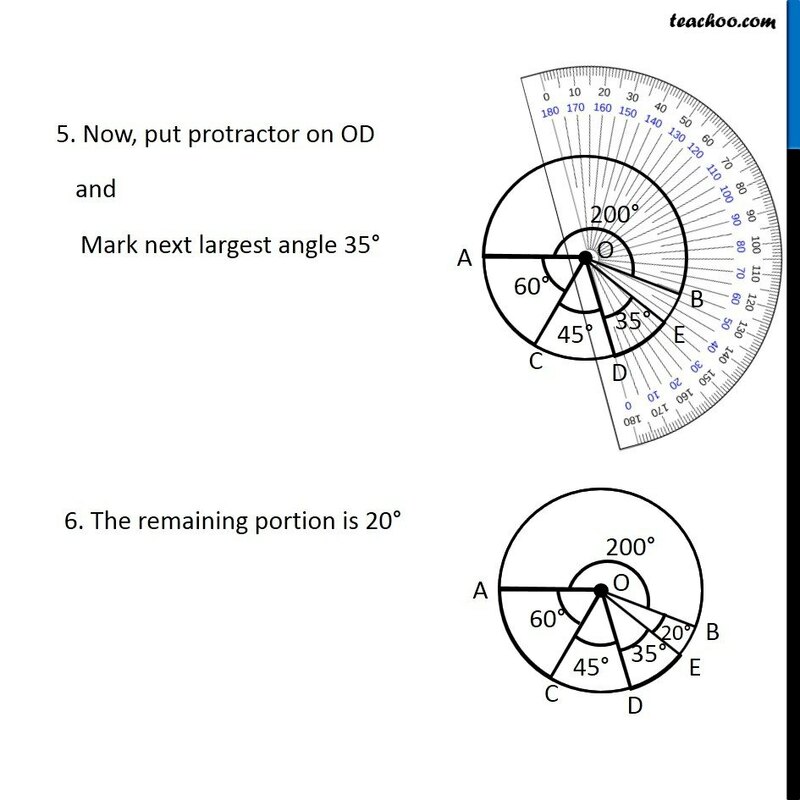 Now, put protractor on OD and Mark next largest angle 35° 6. The remaining portion is 20° 7. 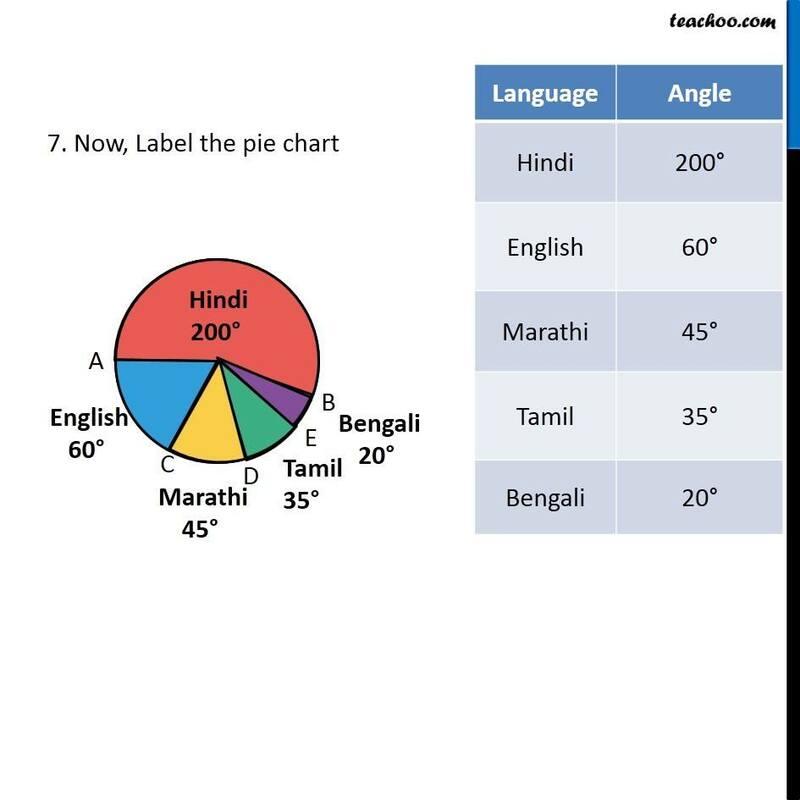 Now, Label the pie chart Steps :- 1. Draw a circle. Mark Centre (O) and radius (OA). 2. Put the protector on AO and draw 200° 3. Put protractor on OB and draw 60° 4. 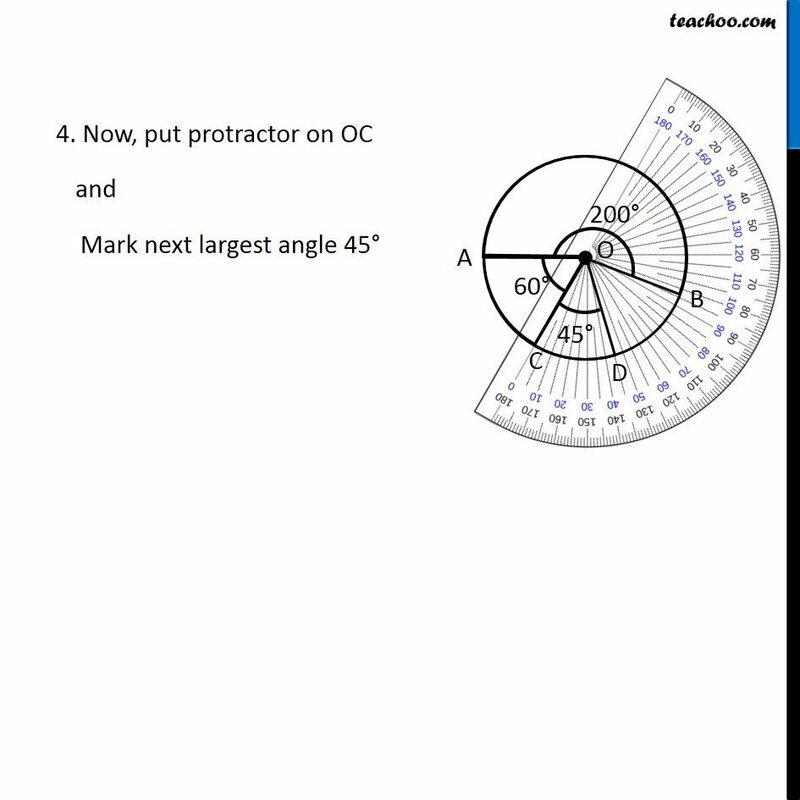 Put protractor on OC and draw 45° . 5. 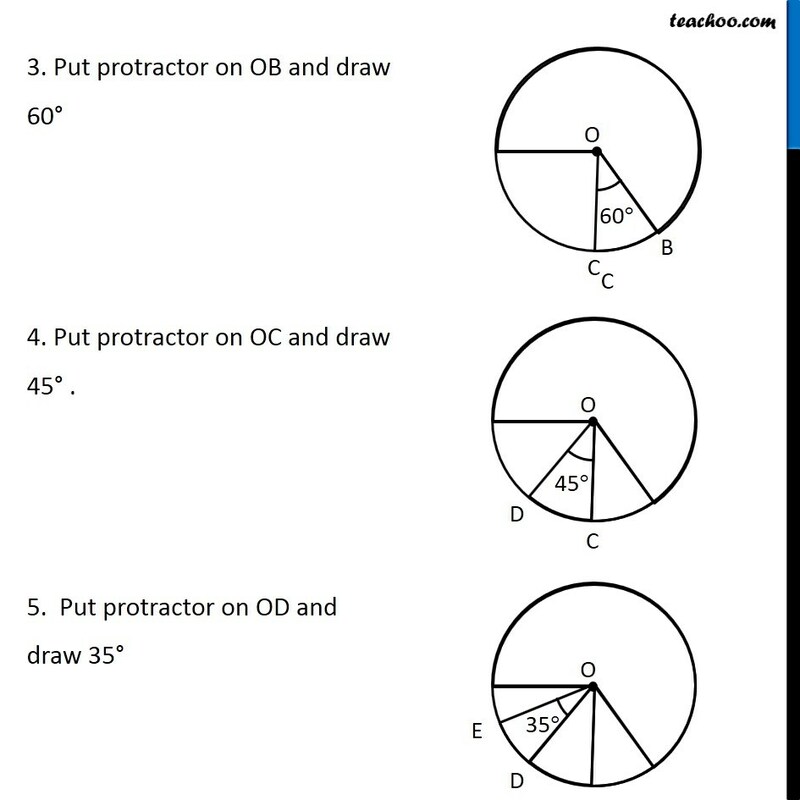 Put protractor on OD and draw 35° 6. Write each sector, write the language it represents.